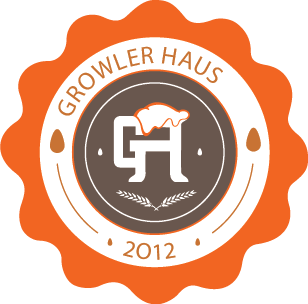 To celebrate our lovely Mill residents in The Village, Growler Haus is now having Mill Mondays! Every Monday, residents of Brandon Mill and The Lofts of Greenville receive 10% off - just show your key fob to your Beertender! We’re also bringing back Monday Night Flatbreads! Build your own Flatbread and get 2 pints for just $15! Brandon is in The Village and tickling your brain every Tuesday with Trivia from 7pm - 9pm. Bring out your best team (and best team name) and see if you can win Haus Bucks and Brewery Swag! There are so many taps to choose from at Growler Haus in The Village, but on Wednesdays, we don't have to choose just one. Come in for flight night and choose 4 beers to sip on. Expand your palate or pick 4 of your favorite. All flights on flight night are $2 off! Come in and enjoy any of our Haus Wings + Veggies + One of our Haus Beers for just $12! Not to mention, NFL and College Football will be back so there will be plenty to enjoy all night! Join us for Live Music in The Haus on Friday nights. Come support local musicians as they rock us into the evening. Be sure to stay for the whole show and grab some Haus Bites and Cold Beer while you do! We’re also giving 10% off for anyone wearing College Football gear during the season. Find out more about upcoming events and other news at the Village of West Greenville Growler Haus on our Facebook page. Remember the good times with photo collections of past get togethers at the Haus on our Instagram account.